An outstanding servant of the game, King has played provincial rugby for Canterbury, Otago, Southland and Taranaki. He began his Super Rugby career with the Crusaders then moved to the Highlanders in 2005 and he surpassed a magical 100 games in 2013 in the Super rugby season. King had a huge season with the Southland Stags in the 2011 ITM Cup, lifting the Ranfurly Shield for the second time in two years from Canterbury. King also achieved Ranfurly Shield success with Taranaki in 2012. He headed to France in the summer of 2014 to link up with Montpellier in the French top tier before heading to Pau in May 2015 for a two-year spell. King retired at the end of the 2016-17 season at French TOP14 outfit Pau. He returned to New Zealand with his family and began helping out with the Crusaders. At 36-years old, King was named in the Crusaders squad for the first round of 2018 Super Rugby. 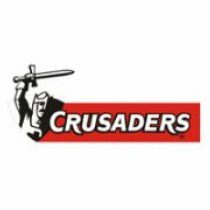 King featured in 8 of the Crusaders 19 Super Rugby matches during the 2018 season.